If Batman ever needs to fight a bunch of Siberian warlords trying to invade Gotham from the North (free plot idea), he’ll want to be riding in this: a terrifying custom-made tank that you can see here just casually drifting across a frozen lake. Called the Ripsaw EV2, it’s the product of a company called Howe & Howe. They custom-build EXTREME vehicles for the emergency services, military, and really anyone with a spare $30,000/£20,206 lying around. Basically, if you want something with tracks rather than wheels, these are your guys. Tracked ambulance? No problem. Quadbike with tracks? Why the hell not. 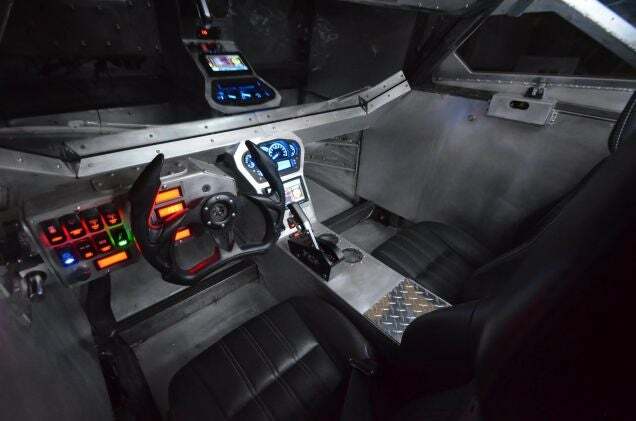 There’s no real details about the Ripsaw, save a touted top speed of 60MPH, and some photos of the decidedly spartan interior. Price? Way too much — if your last name isn’t Wayne.